We thought we'd use our latest leaf collection to create some art. 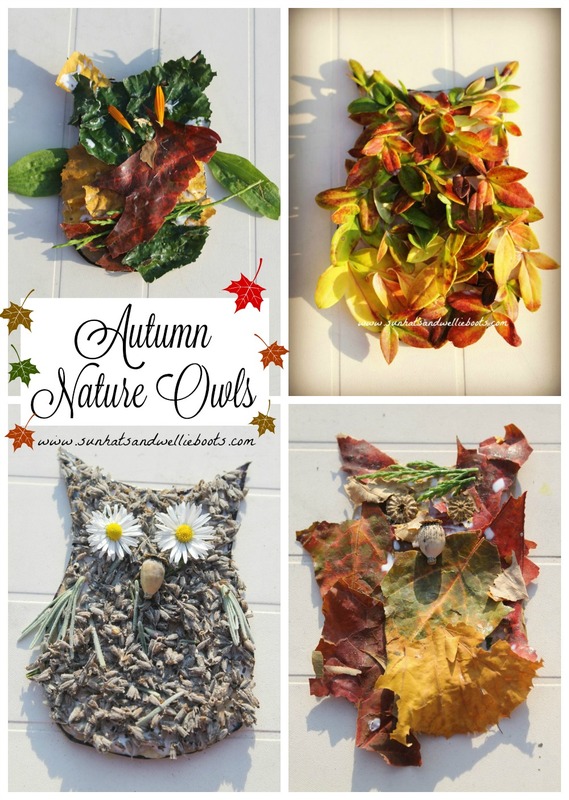 We've gone owl crazy here recently & our collection of leaves was perfect for a little nature art. To create our nature owls we started with a basic owl shape cut from recycled cardboard & then Minnie covered the card with glue. We discovered PVA glue worked best for this activity & held the leaves really well once it was dry. She selected her leaves for each owl, ripping some larger ones into smaller shapes & sticking them to the card. A few other additions from the garden were added, & I love how she used the orange flower petals for the eyes on this owl. 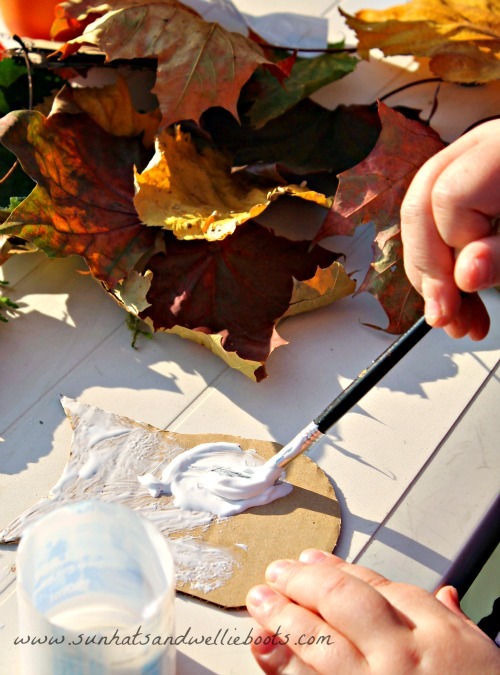 Once each owl was decorated we left them to dry for a few hours until the glue became transparent. 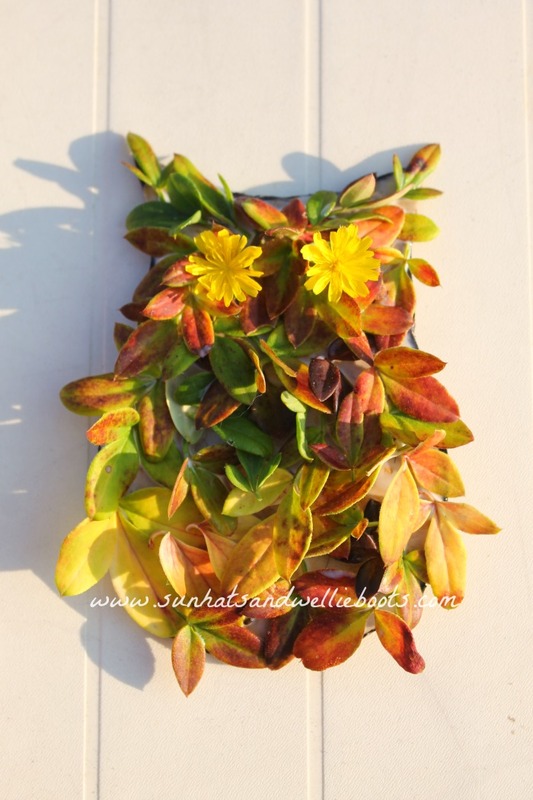 The small multicoloured leaves from our Winter Jasmine looked adorable & very featherlike on this owl template, & I think the addition of the dandelion eyes was just genius! Leaf wings were added at the last minute to the back of this owl so he was ready to fly! 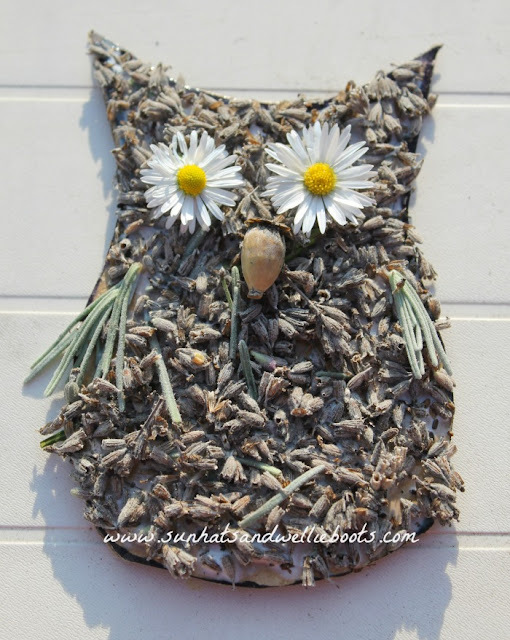 During her search around the garden my girl discovered that lavender & daisies make great owls too, & the scent of the lavender remains after the glue has dried. 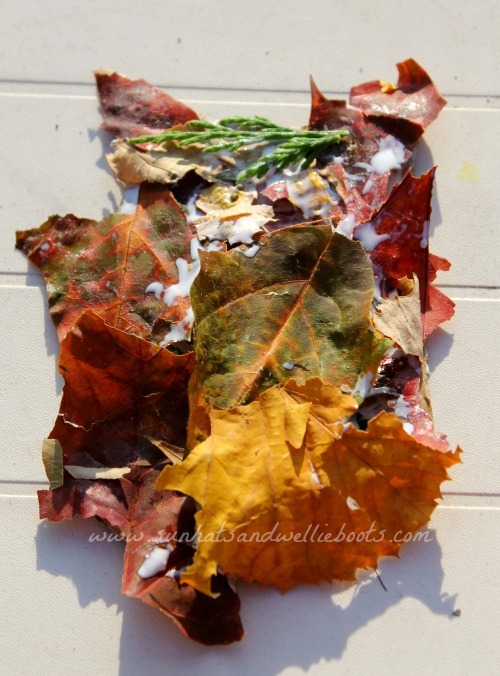 This is a neat seasonal art activity & one which can spark a child's imagination. 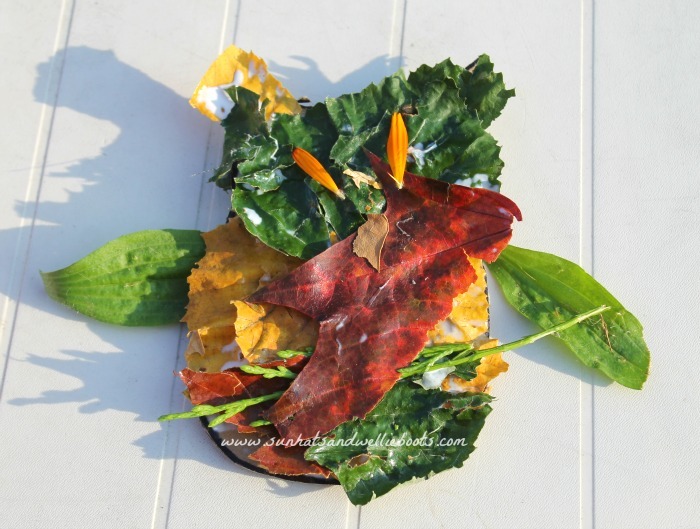 With so many natural materials available at this time of year children can explore & design with a variety of colours, textures, shapes & scents, making it a multi-sensory experience too. To extend the activity further you could invite children to create a tree shape on the ground using branches, twigs & logs, & then add the nature owls to the branches of the tree. 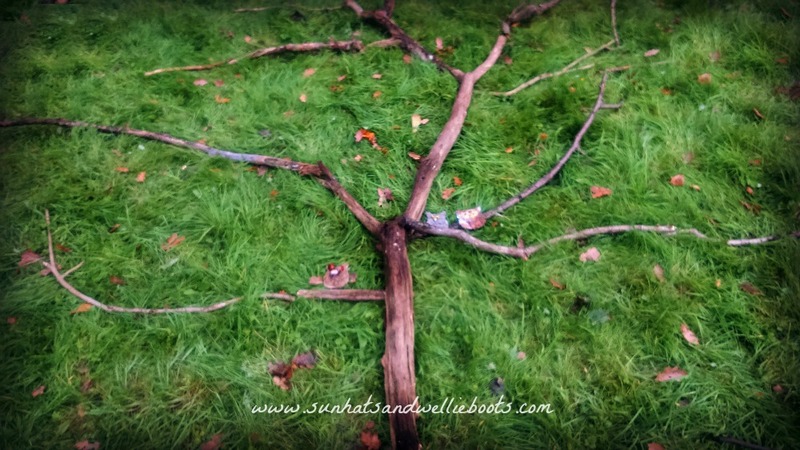 They may like to give their owl a name, or certain characteristics, explore what it may be thinking & feeling, or perhaps they could write a story with their owl as the central character. 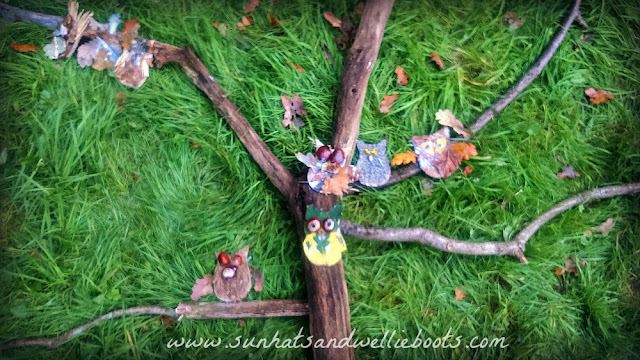 However you create your nature owls, I hope you have as much fun with them as we did with ours. Looking for more Owl Activities? 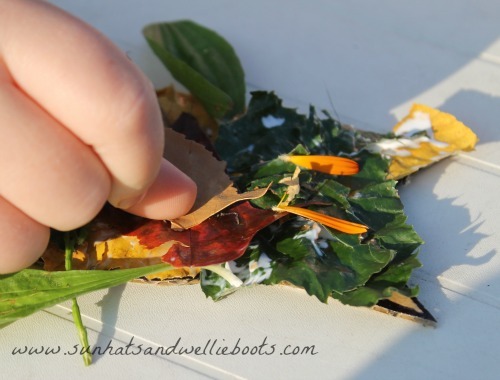 You might like: All About Owls, No Sew Sock Owls, Edible Maths Owl Activity, Nocturnal Animals Small World Play Scene.